During our visit to the Cincinnati Zoo August 30, I learned that certain birds find me to be delicious. The zoo was very difficult for us to find due to apparently missing directional signs and an inaccurate map but once we got there we loved the place. Some of the birds loved me… possibly as food! 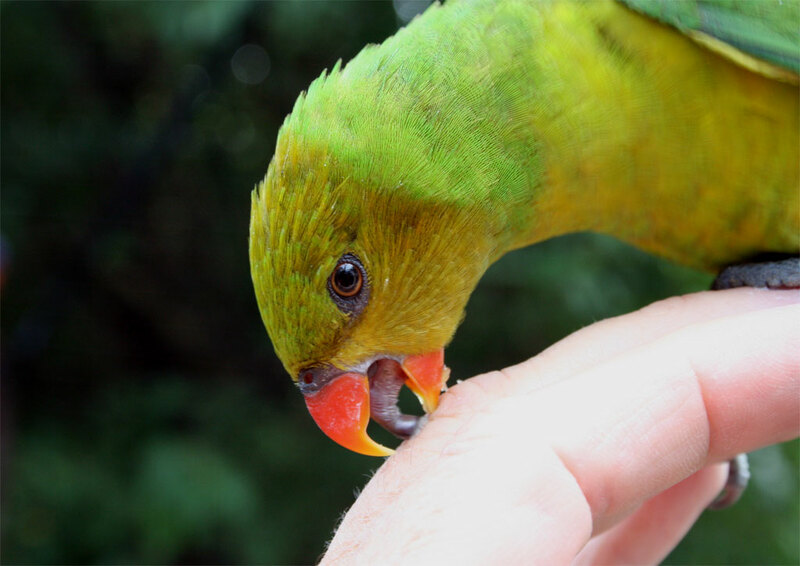 So if you enter a lorikeet enclosure in order to be close to the birds, beware. 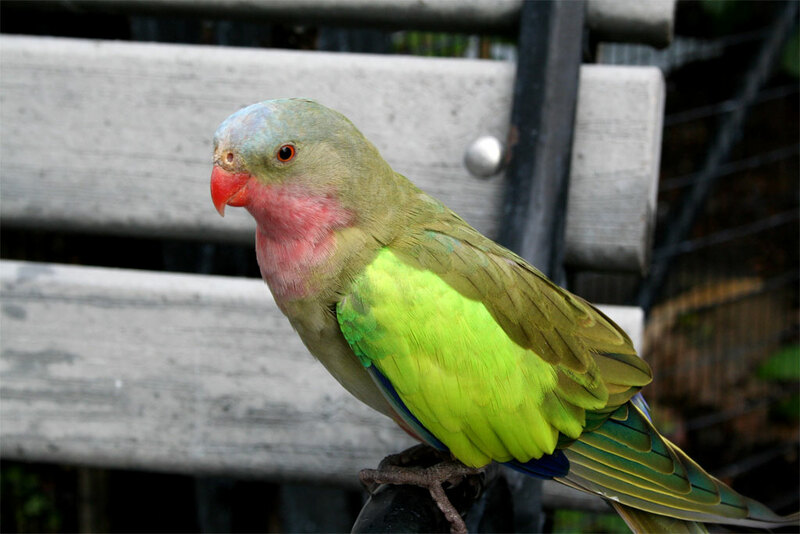 Look around and, if you see a bird staring at you as in the photo below, you might just want to buy some nectar and save your skin! LOL – I'm sorry but I had a really good laugh at the image I had of your situation. Of course, it is always funnier when it is happening to someone else. I went to a bird place in Queensland once where a similar thing happened to me and it really was horrible! 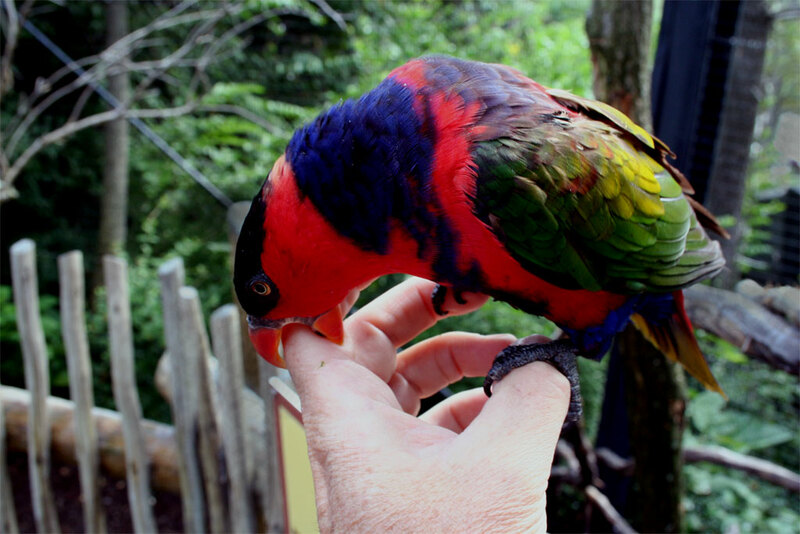 At my Sydney home rainbow lorikeets would dine on my balcony every day – they are very beautiful birds.